Dino Melaye, the Senator representing Kogi West in the Senate, has revealed his amazement as he witnessed Ghana’s Independence Day celebration which had many cultural and national demonstration of love,unity and purpose. 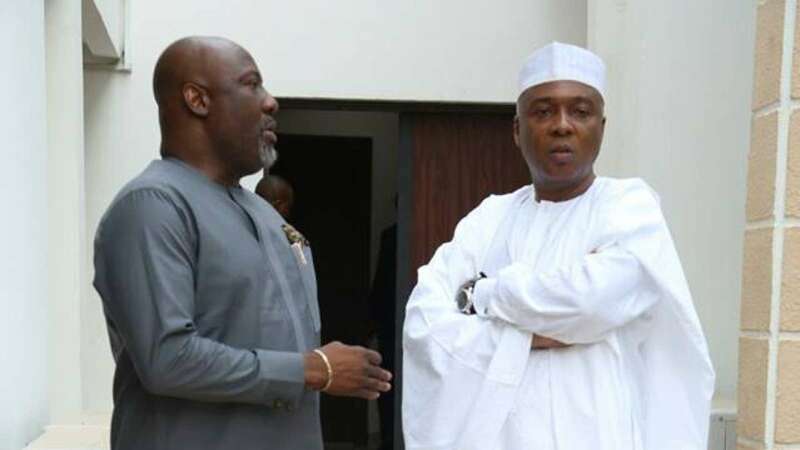 Dino Melaye who is attending the celebration alongside President Buhari and many other politicians, further took a swipe at the Independence Day Celebration in Nigeria, which he said has been turned into a low key event in the Presidential Villa. I feel sad and ashamed this morning as I physically see the cultural and national demonstration of love,unity and purpose exhibited by Ghanaians here at the Black Star Square in Accra- Ghana as Ghana celebrate their 61st independence and 25 years of uninterrupted Democracy. It is sad that My President and eminent Nigerians watch this glamour and respect for heritage which Nigeria as Regional Champions lost years ago. We have stop celebrating anything in Nigeria. I.e Independece day,Democracy day and Children’s day. Our Independence Day is now a low key event in the Presidential Villa. The Question is how did we get here and why did we get here! We are here president and citizens of Nigeria clapping for our’younger” brother Nation Ghana! What a shame. The reasons for the fear of National celebrations are the colossal injustices in the land. We as leaders at all levels must be fair and just to all. As long as we twist justice and flow in the gown of injustice and hypocrisy we will never openly celebrate like Ghana is doing today. We must decide to re-think and re-build. Altogether we have failed.